I am down the stairs of a tall building. and comes down again once it reaches the floor. I am descending to race with several friends. There was no stairway around the back of the floor. There is something like a dolly in a narrow triangular space. I get in a narrow gap under the carriage. I do not plan to make hide-and-seek. 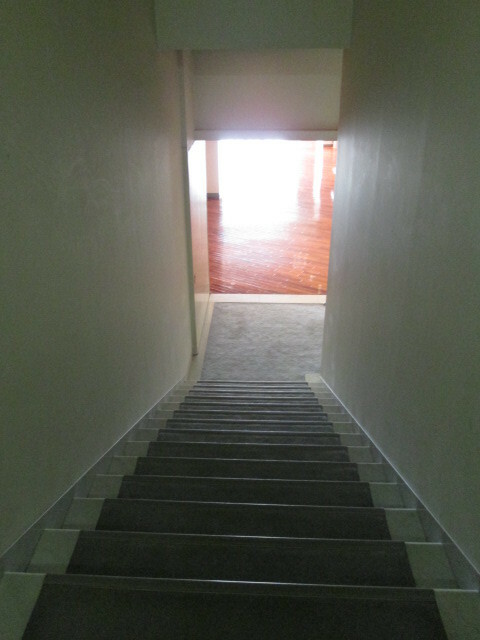 By this I will go further downstairs. and are looking for an outlet that may be on this floor. Was there somewhere a landmark indicating the exit floor? Or were they firmly counting the floor numbers? They seem to be laughing at each other's failure.